Violent Virus Destroying Israeli Tomatoes- what to do? Unlike fungicidal chemicals used to control fungal diseases, to date there are no efficient chemical treatments that protect plant parts from virus infection. Additionally, there are no known chemical treatments used under field conditions that eliminate viral infections from plant tissues once they do occur. Practically speaking, plants infected by viruses remain so. Tobacco mosaic virus is the most persistent plant virus known. It has been known to survive up to 50 years in dried plant parts. Therefore, sanitation is the single most important practice in controlling tobacco mosaic virus. He said this last week, when people already knew about tomato mosaic virus running rampant in the Negev greenhouses. I am not sure how you can call a virus “a disgraceful occurrence”, but I guess there must be one conspiracy theorist in every Knesset. Since this disease will not be clearing up any time soon (estimates are that supplies will be back to normal around December), last month the Minister of Agriculture Uri Ariel (Bayit HaYehudi) approved the tax-free import of tomatoes and cucumbers. He did that to ensure a constant supply of vegetables throughout the holidays, but this move was most certainly not the most helpful for consumers. Why? First of all, as we have seen time and time again, the supermarket chains don’t lower their prices when they purchase tax-free food- they keep the prices high and swallow the profits themselves. Secondly, I personally would like to know if I am buying produce from Israel, Jordan, or some other country. 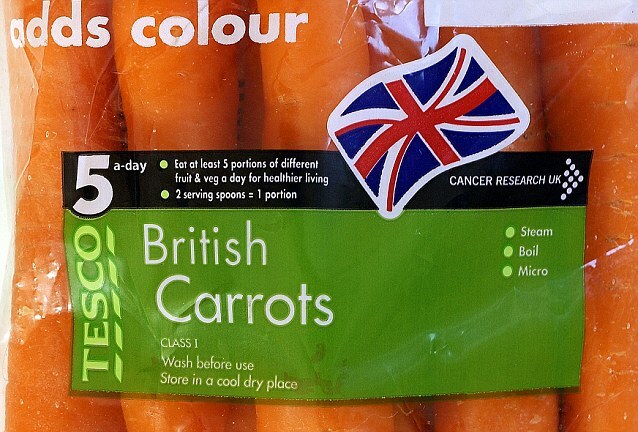 In other countries it is a law that there must be a sign that states the origin of all produce sold in supermarkets. This is called COOL- Country of Origin Labeling. Israel, on the other hand, does not have that requirement in their legislation. Therefore, the consumer can’t tell if the product is an imported, tax-free product which should be priced lower, or an Israeli product. 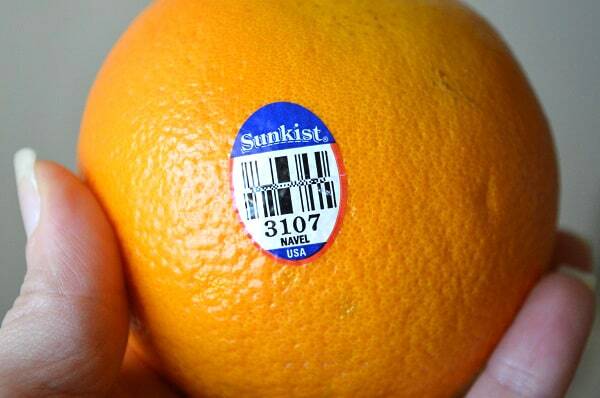 This again helps the supermarkets hide information that consumers would use to evaluate the price of an item. Read more about the proposed legislation on their web site. You might also want to write to other Knesset members expressing your support for the law. Another place to make yourself heard is by supporting COOL legislation in Israel. In my next post, Setting the (food) standard in Israel, I will tell you how. If you haven’t tried online shopping at Mega, here is a good opportunity- two months free delivery. Use coupon code “first”. To start shopping, click here. Fancy sufganiot- 3.90 shekels each. Sufganiot- 1 shekel each. Maximum 10 sufganiot per purchase. Expires 27 Dec 2014. To find a store near you, click here. Small sufganiot- 1 shekel each. A package of latkes/levivot- 10 shekels. Twelve new Rami Levy stores opening! In contrast to the 156 million shekel loss reported by Shufersal last quarter, Rami Levy reported a net gain of 20.5 million shekels. 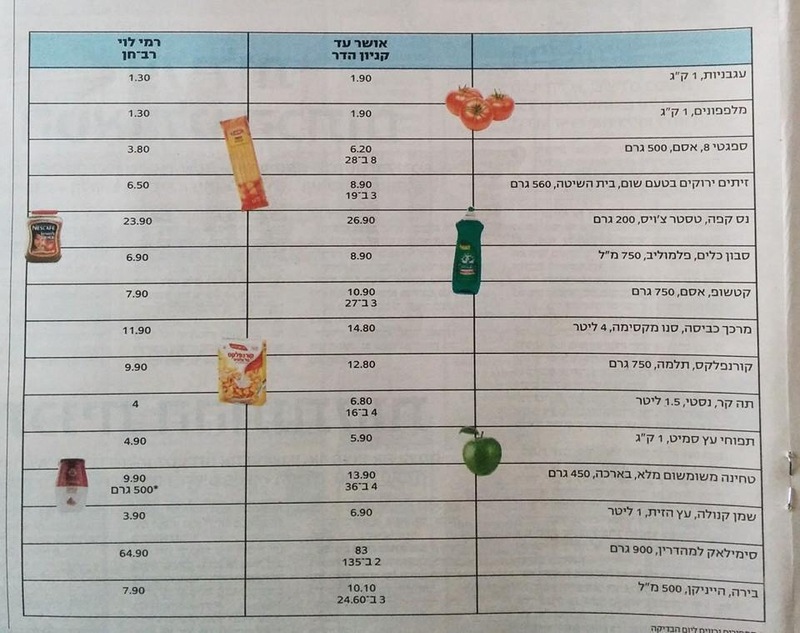 So despite that fact that this Osher Ad just opened, it doesn’t appear to be attracting customers with loss leaders. Let the buyer beware. I happened to be at a gas station in Modiin recently when I was approached by a man to come see his new halvah store. I followed him to a small store that was packed with all sorts of foods that I never expected to see in one place. Of course , there was halvah- lots and lots of halvah. Some of the halvah is dairy and some is pareve. Once you taste a sliver, you will be hooked. I succeeded in only purchasing two flavors- Italian chocolate and espresso. For the diet-conscious, there is halvah with no sugar- only artificial sweetener. 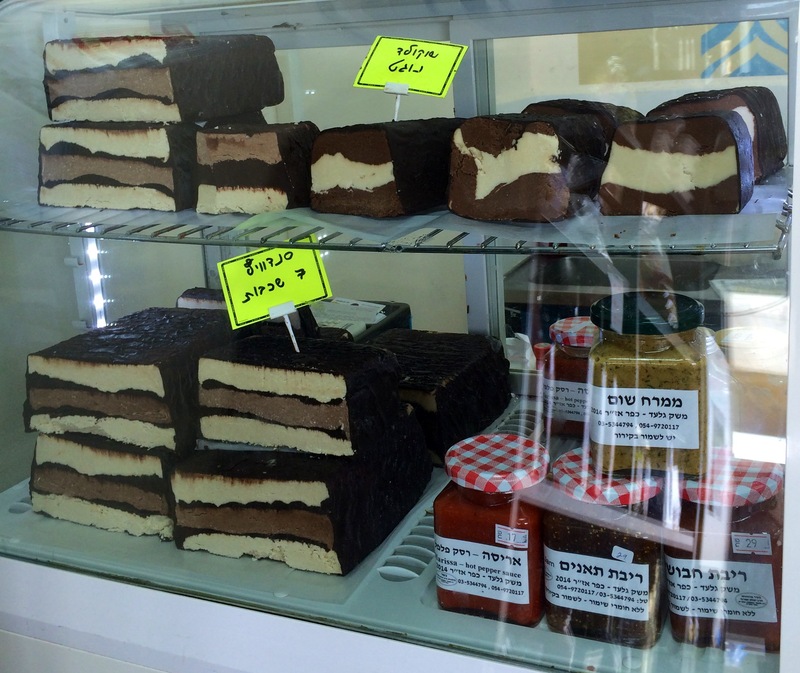 A new item for me was the fruit/vegetable “halvah” which is made with figs, carrots, or dates. They also had one of my favorite indulgences: layered chocolate/nougat. 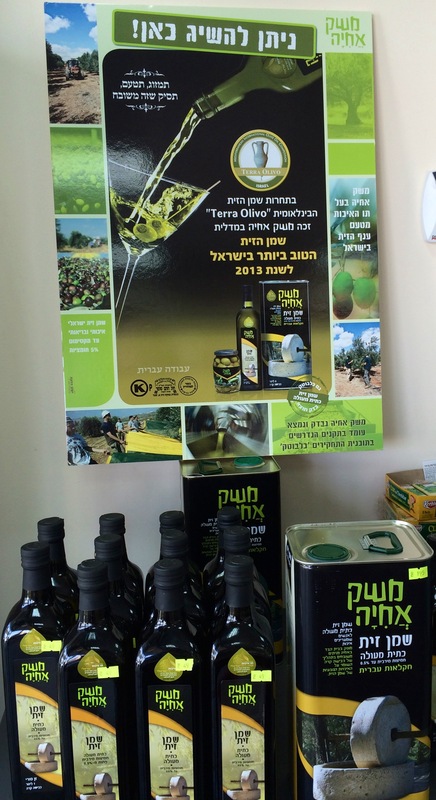 For those who support businesses in the Shomron, you can also purchase Meshek Achia olive oil and olives. 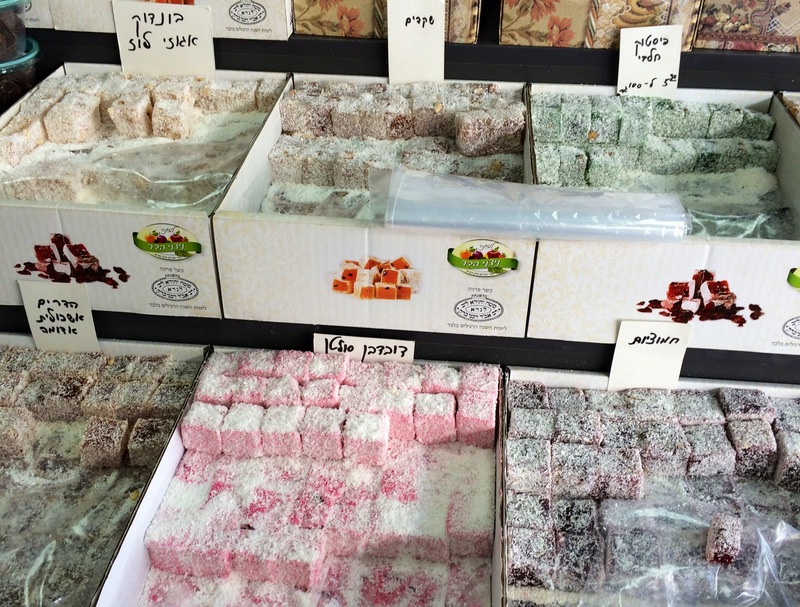 A treat I rarely see outside of the shuk, sultan and lokum or Turkish Delight can be found here as well in a myriad of flavors and colors. There are also lots of cookies, chocolate covered nuts/jellies, and marzipan. I am not sure why he decided to carry prune juice and cranberry juice, but I was happy to pick up a bottle as well. This product was completely mystifying to me. Chickpeas with a candy coating. The store owner’s Hebrew wasn’t good enough to explain what was done to these chickpeas that made them edible and there weren’t samples, so I passed on this product for now. Dulce de leche is my daughter’s favorite sweet. Grab a bottle and you can make amazing sufganiyot. 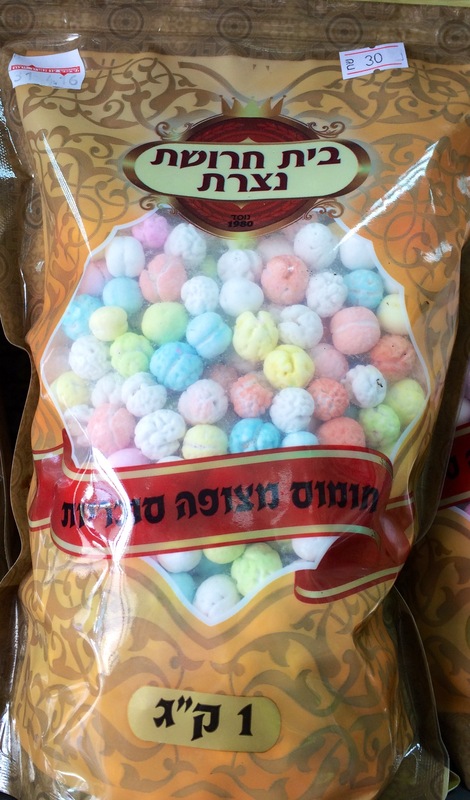 I can’t imagine how sucralose fits in with the halvah theme, but the price can’t be beat- 20 shekels for 100 packets in a bag or 26 shekels for a box. This product was the biggest surprise of all. 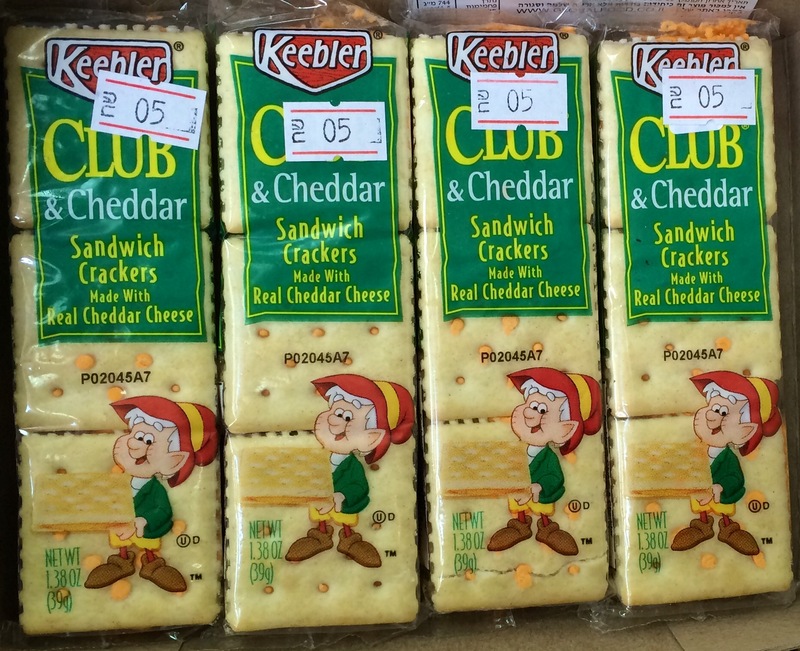 I have one child (and husband) who fondly remember these crackers. The price was better than the American stores and when I bought a pack of 8, he only charged me 30 shekels instead of 40. The store is labeled as kosher. As you can see, many of the products are not in their original packaging. The owner will show you the kashrut certificates for each product if you ask. One halvah has a rabbanut hashgacha and one has Chatam Sofer- I don’t remember the other products. The store is located in Yishpru Center in Modiin. Go into the Paz gas station and it is next to the Yellow store. Hours: Sunday-Thursday from 9:00 am-8:00 pm and Friday from 8:30 am- 3:00 pm. For more information, call 052-326-3269 or go to the store’s Facebook page or web site.